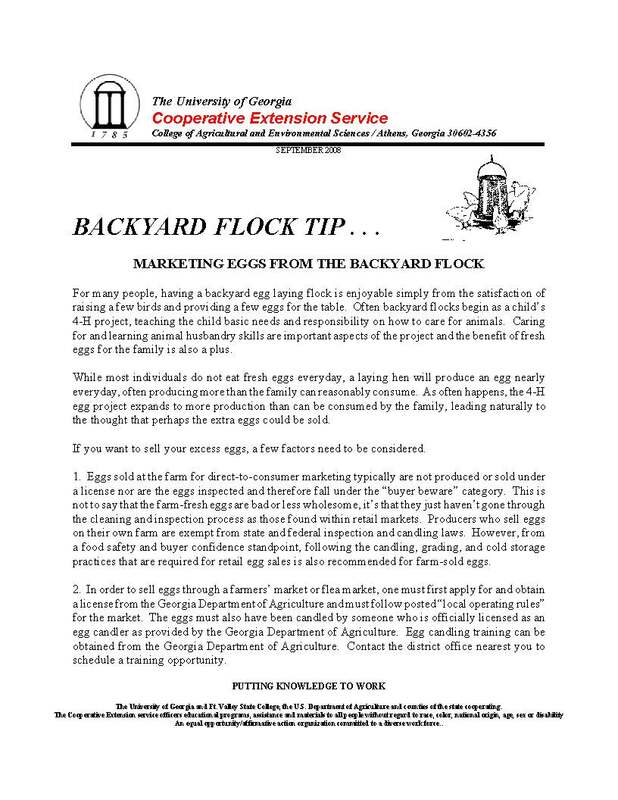 For many people, having a backyard egg laying flock is enjoyable simply from the satisfaction of raising a few birds and providing a few eggs for the table. Often backyard flocks begin as a child’s 4-H project, teaching the child basic needs and responsibility on how to care for animals. Caring for and learning animal husbandry skills are important aspects of the project and the benefit of fresh eggs for the family is also a plus.